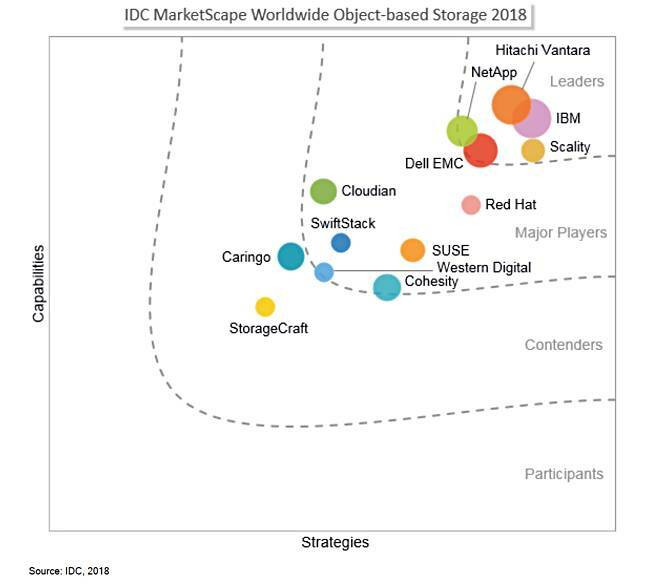 IDC has cast its eyes over object storage suppliers, and ejected DDN from its marketscape, brought in Cohesity and Cloudian, and shuffled around a few suppliers. We can immediately see DDN, with its WOS product that was a 2016 leader, is now nowhere. It gets an “honorable mention” in IDC's report, however, there is no explanation of this change in status at all. We’ve asked IDC and DDN for their thoughts. Neither has been able to get back to us yet. Scality’s position has changed: it is further along the strategy axis than the capabilities axis in 2018 compared to 2016. Red Hat has moved in the same general way within its category. The SUSE product, like Red Hat’s, is Ceph-based. Caringo has fallen back from being a major player to being a contender. IDC suggested it loses sales because it can’t compete effectively when sales cycles are long. 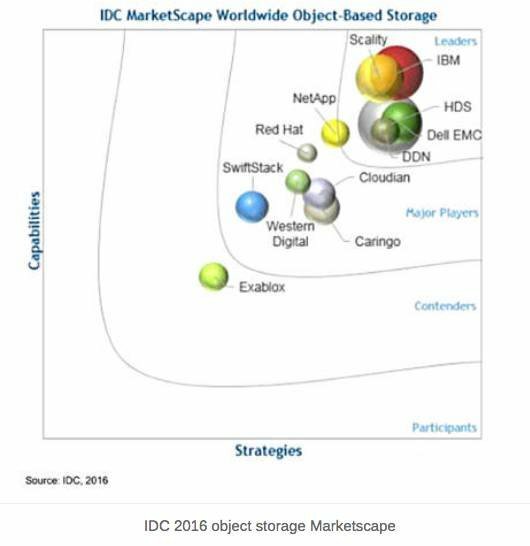 IDC’s inclusion of Cohesity is eyebrow-raising. The analysts said: “Cohesity's DataPlatform is a distributed file system that consolidates all unstructured data, including backups and archives, files and objects, test and development, and analytics workloads on a single web-scale solution ... [and] reads/writes to the same data volume with simultaneous multi-protocol access for NFS, SMB, and S3." Dell EMC has fallen back due to Dell acquiring EMC, and the resulting integration issues “caused a brief lull in [ECS] field execution." StorageCraft acquired Exablox, and has inherited its position.